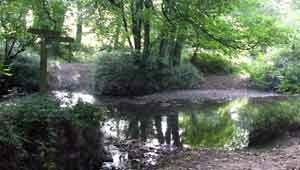 North Tawton Website provides community and tourist guide information, what's on events and news, for North Tawton Town and surrounding area of Devon. 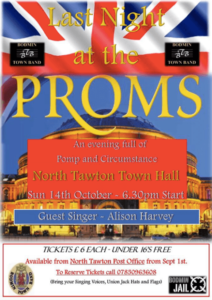 North Tawton Last Night At The Proms will provide an evening of pomp and circumstance on Sunday 14 October 2018. Featuring Bodmin Town Band and guest singer Alison Harvey. 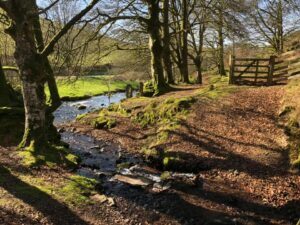 Devon Walks in and around North Tawton – River Taw, Tarka Trail and Bondleigh. North Tawton refreshments available; Kirsty’s Kitchen Tea Room Cafe, Copper Key Inn, Fountain Inn, The Railway, The White Hart.